“Build it, and they will come.” This is the story of how The Continental Club Gallery became the greatest Hammond organ room in the world, in of all places, Austin, Texas. As accidental as the start of “The Gallery” was in 2006, there was a shared vision between Steve Wertheimer, the club’s owner, and me of what we wanted to create. We wanted to build, and revive a 1960’s era Hammond organ room. It did become that, perhaps the best one in the world. There are so few in existence that ranking them doesn’t much matter. You have Smoke in New York City, The American Legion and Showman’s in Harlem, The Boom Boom Room in San Francisco, The Green Mill in Chicago, The Orbit Room in Toronto. There are a few places in New Orleans that feature a B3, but none do so nightly. There is not a room anywhere else in the world that features more Hammond organ players and groups playing a variety of Hammond styles on a nightly basis than The Gallery in Austin, Texas. The initial idea wasn’t just to give me a place to play, although that was the starting point. We wanted to create a venue for the music, the organists, and the instrument we loved. And in that process, build an audience of everyday people would grow to love the sound of the Hammond organ as much as we did. 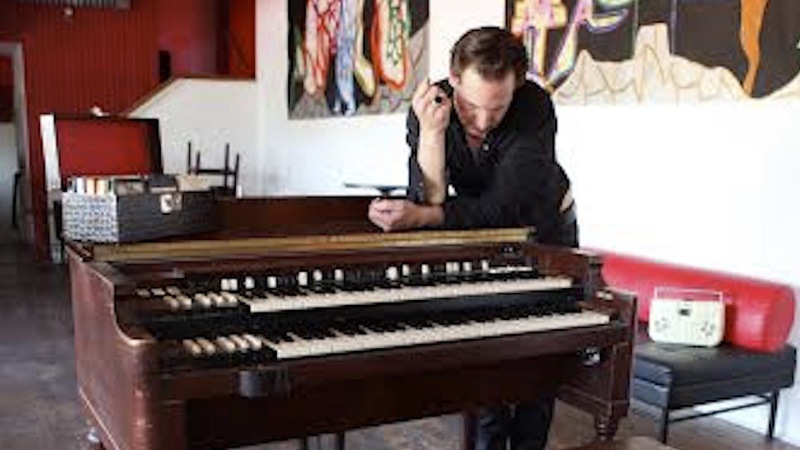 Initially, people would come up and ask, “What kind of piano is that?” Even though Austin bills itself as “The Live Music Capital of the World’, we were starting at ground zero with awareness of the Hammond organ and its wonderful sound. Red Young and James Polk were seasoned, world-class Hammond organists. We wanted to give masters like that a place to play without them having to haul a B3 around. Both had done plenty of that. When you hire a Hammond organist, you essentially hire two people: a musician and a piano mover rolled into one. These guys had paid their dues and deserved to play in a room with an in-house B3. Additionally, we also wanted to create a space that would give young keyboard players, musicians who had only played a Nord piano, a chance to play a real B3. The Gallery was designed to be a venue where they could learn to master the drawbars and the pedals, and perhaps most importantly, let them feel the Leslie Speaker twirling and screaming at their backs. There is no substitute for the sound a genuine Hammond organ and Leslie speaker can produce. It’s inspiring. Around 1995, I started playing the B3 because the old Antone’s on Guadalupe Street had a house organ on stage. That’s what it takes. An organ. Now, because of The Gallery, young organists have sprung up all over Austin. There are so many great ones playing around town these days, I can’t even name them all. But I see them all the time. They’re learning and carrying on, and pushing forward an incredible music tradition. None of that happens without access to a B3. Any music scene needs dedicated musicians and an audience. We wanted to create both with the Hammond organ at the center. In The Gallery, you can hear jazz, blues, funk, soul, country, most anything really, all played on that amazing piece of mid-century technology. Steve Wertheimer created a Hammond organ culture, but Austin barely noticed. It happened while no one was paying much attention. But over the last decade, that has changed. Now, along with the Hammond at The Gallery, there is a B3 at C-Boy’s, and one inside The Continental Club. Along with Red Young’s Hammond at Antone’s and the B3 at Sam’s Town Point, Austin has more Hammond organs, pound for pound, than any other city in the country. More organs stashed on stages means more gigs for musicians and more organ-infused music for audiences to hear. This modern-day Austin Hammond scene all started at The Gallery. In all deference to original players like James Polk and Bill Tanner and other greats who played in Austin in the past…decades ago, the Hammond organ scene had died here. There was not one venue where a Hammond organ could be heard on a nightly basis. For the most part, the rest of the world is playing Nords and organ clone synths. That’s what audiences and players have been forced to do. In Austin, we are playing real Hammond organs. True to our Texas nature, we are doing it our way. On our own. I own a 1963 B-3 in perfect condition with a 122A Leslie. The owner of the warehouse that I bought it at had the new digital B-3 and I tried that one but it just didn’t have the same sound as the original tonewheel. So glad I got the original.